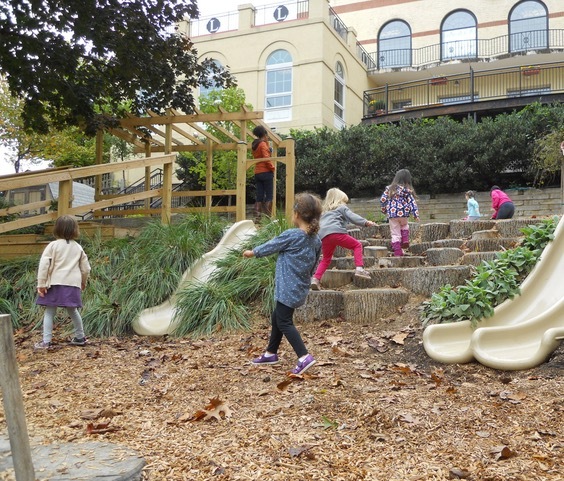 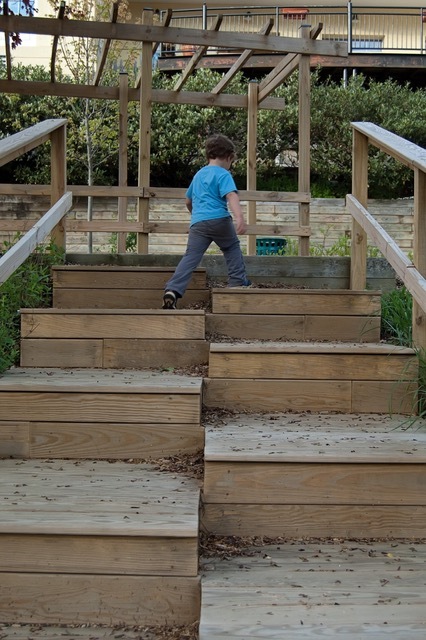 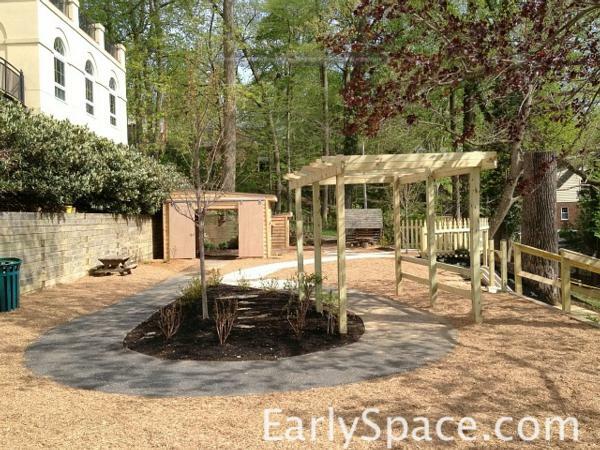 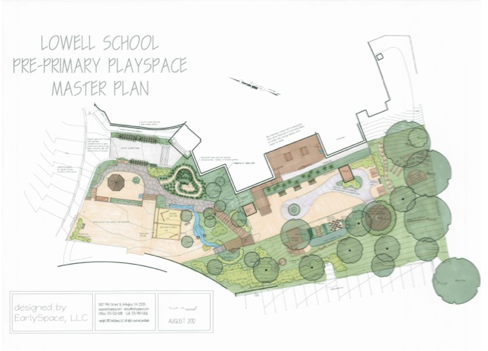 EarlySpace worked with Lowell school to transform their hillside into an inviting space for preschoolers to play. 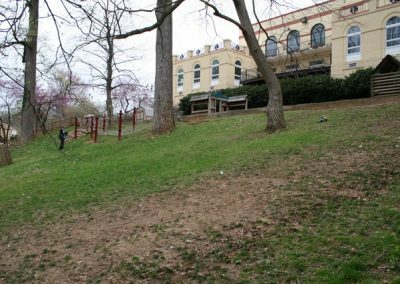 There were two main areas– the steep hillside, and the flat space at the top of the hill. 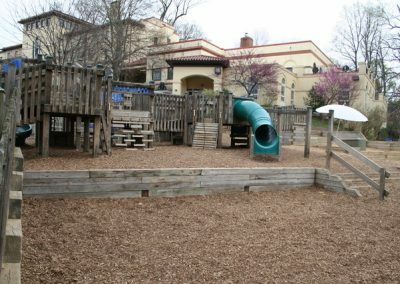 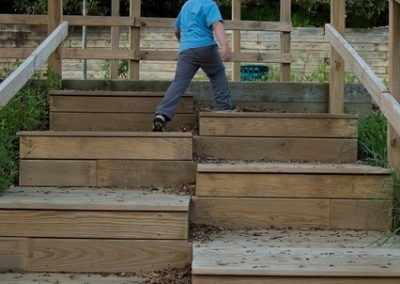 On the hill, children can slide down on two different slides, descend on a fallen tree, and climb up or down on a stump scramble, a boulder climb or use an alternating-leg-staircase. 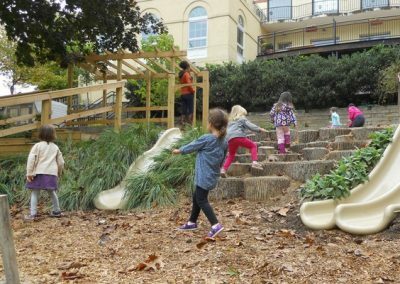 The fallen tree is special to the school because it was a beloved maple that was slated to come down to make way for a building expansion. 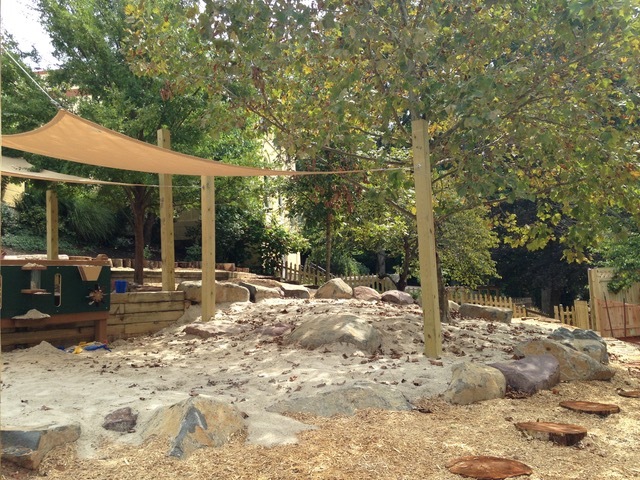 It was some consolation that a large portion of the tree would have a second life on this playground. The tree removal included careful consideration of which parts to save so that it would fit the new space and provide challenging climbing options for the pre-primary children. 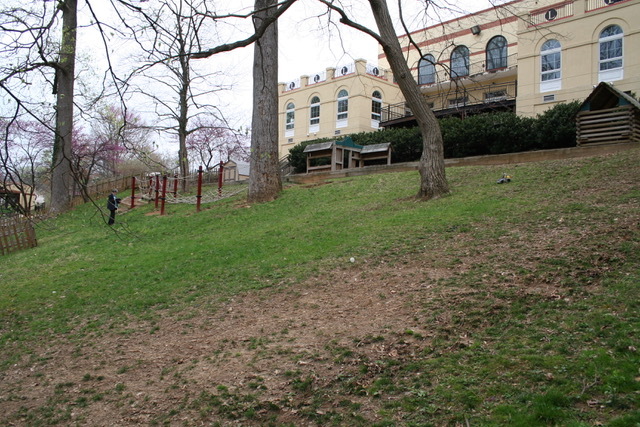 At the top of the hill, a seldom used asphalt track was expanded and embellished. A “Shunnel” (shed + tunnel) is a riding through place at outside time, and at the end of the day, children can park their riding toys inside. 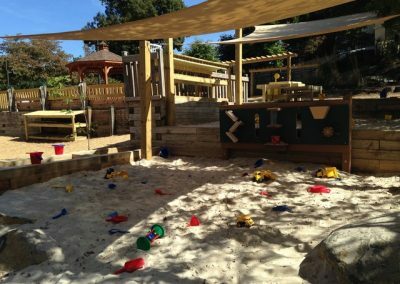 The goal is to make clean-up fun, and thus life is easier for teachers! 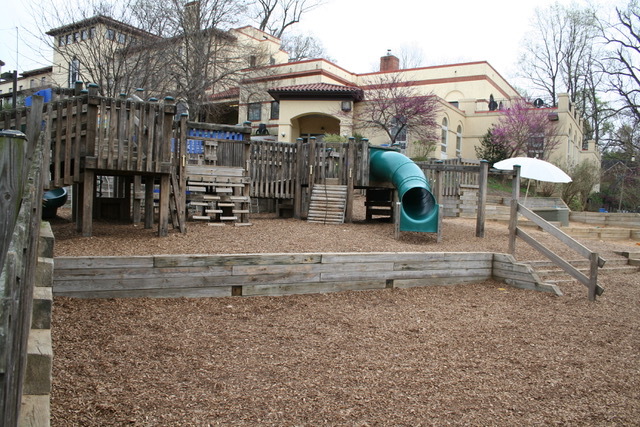 And finally, a new playhouse was added near an existing one, along with a log table and stools. 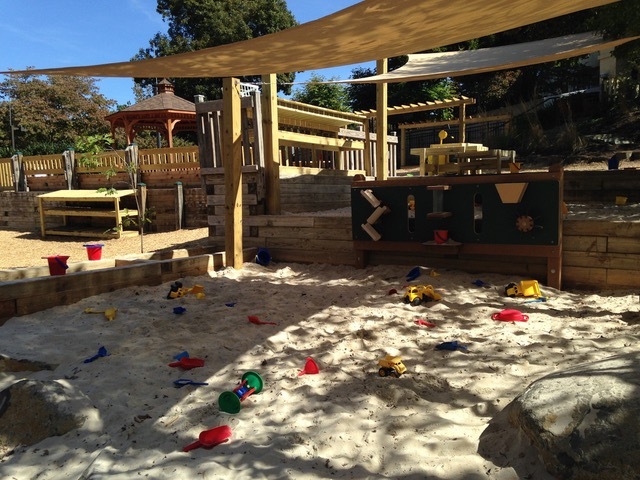 Props like these support creativity and language and lots of good pretend play.